Stock # T24694, V8, 5.7L, Automatic, 17 mi. Gross vehicle weight: 7;200 lbs. All pricing and details are believed to be accurate, but we do not warrant or guarantee such accuracy. The prices shown above, may vary from region to region, as will incentives, and are subject to change. Vehicle information is based off standard equipment and may vary from vehicle to vehicle. Call or email our sales consultants for complete vehicle specific information. All prices plus, tax, title, license, and $389 Dealer Doc fee. All standard factory incentives available to all customers applied in lieu of special financing. $750 Toyota Military Rebate that is valid for any honorably discharged U.S. military personnel within one year of service and Household members of eligible qualifying military personnel. While every reasonable effort is made to ensure the accuracy of this information, we are not responsible for any errors or omissions contained on these pages. 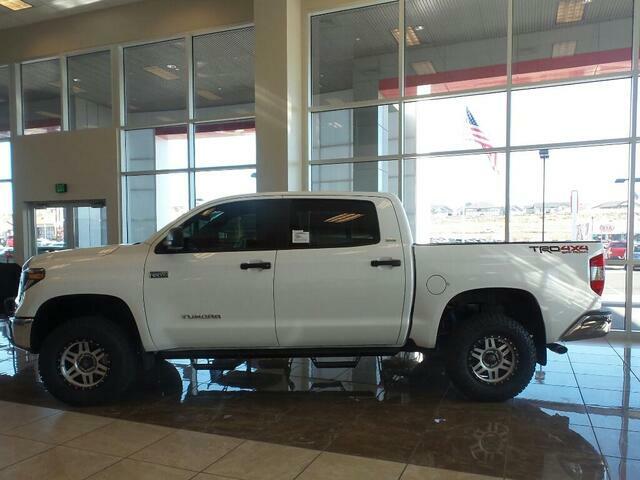 Please verify any information in question with Phil Meador Toyota.